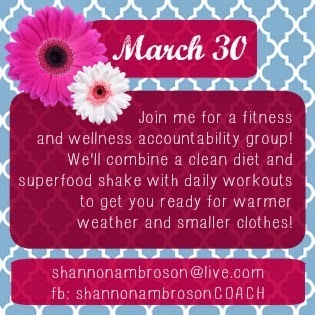 I'm getting ready for my next fitness accountability group to start. Today is the first day of Spring, and that means we're all starting to think of those spring and summer clothes and wondering how to make our winter bodies fit into them ;). Right? My March 30th group is a special one. 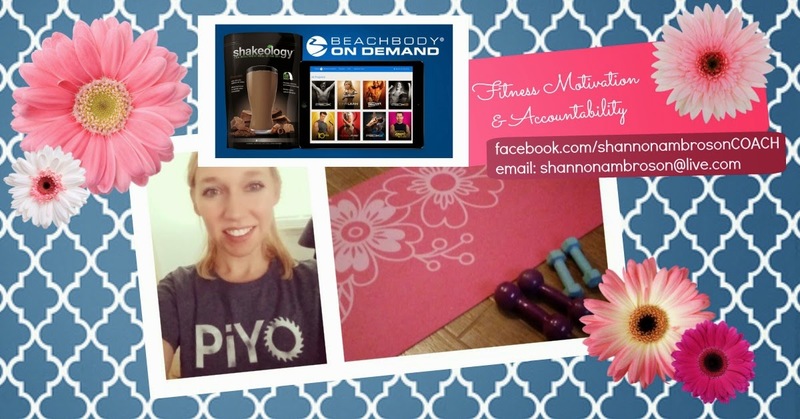 We'll be focused on the new streaming workout platform Beachbody On Demand, which currently has full workout programs (like TurboFire, ChaLEAN Extreme, Insanity and P90X3) and trial workouts from other programs (like 21 Day Fix, 21 Day Fix Extreme, Insanity Max 30 and PiYo), and clean eating with Shakeology (a nutrient dense superfood shake--amazing stuff that will make you feel amazing). Click HERE to check out the Team Club and preview the BOD platform! For 21 days we'll get results with meal planning and exercise. 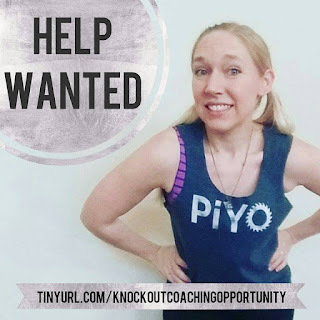 In the group we will talk about the programs and workouts we try on BOD (and hopefully find one or two we LOVE and want to continue with) and swap recipes and motivation as we strive to better ourselves through healthier living. Ready to order? Click HERE to find the Challenge Packs, and Choose the Beachbody On Demand option when you're ready! The deadline for signup for this group is March 29, so please contact me soon to discuss your health and fitness goals and get started with this group and all the amazing support during and after the group ends. Let me help you reach those goals. Reach me at my Facebook page: Shannon Ambroson Health and Fitness or email me at shannonambroson@live.com to set up a time to chat.